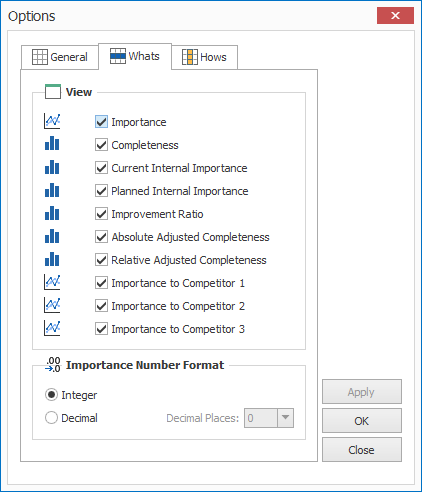 Translate the voice of your customers into requirements. 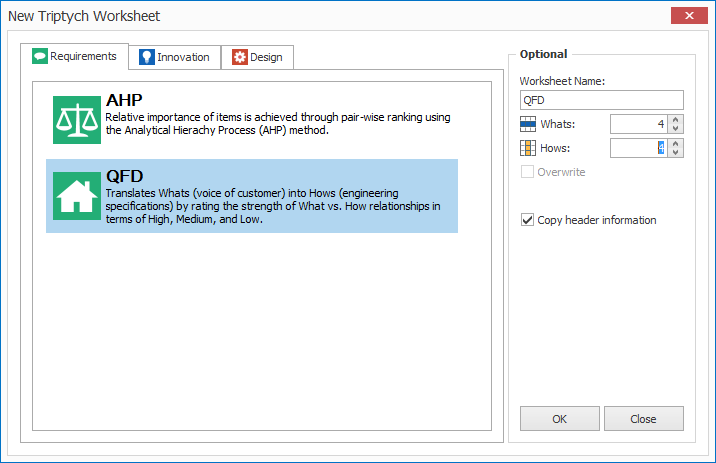 Quality Function Deployment (QFD) is a planning tool for translating the Voice of the Customer (VOC) into explicit design, production, and manufacturing process requirements. 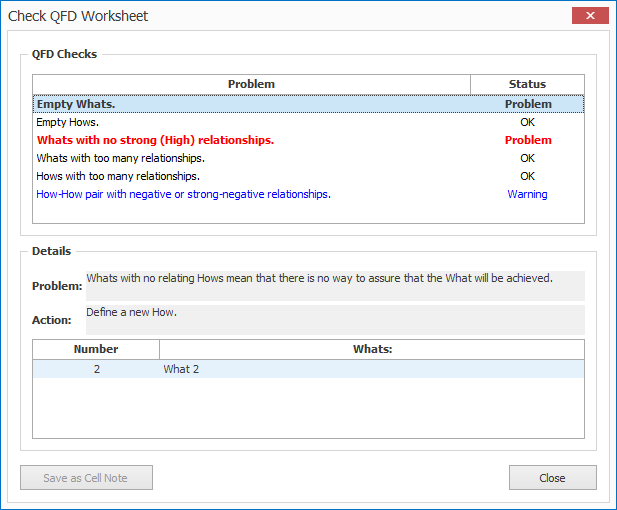 The Triptych QFD Worksheet can be used to translate customer needs (WHATS) into to marketing, engineering, or manufacturing requirements (HOWS) based on the strength of the inter-relationships between the Whats and Hows. The traditional House of Quality is constructed in Triptych and the results can automatically flow down from one house to another. 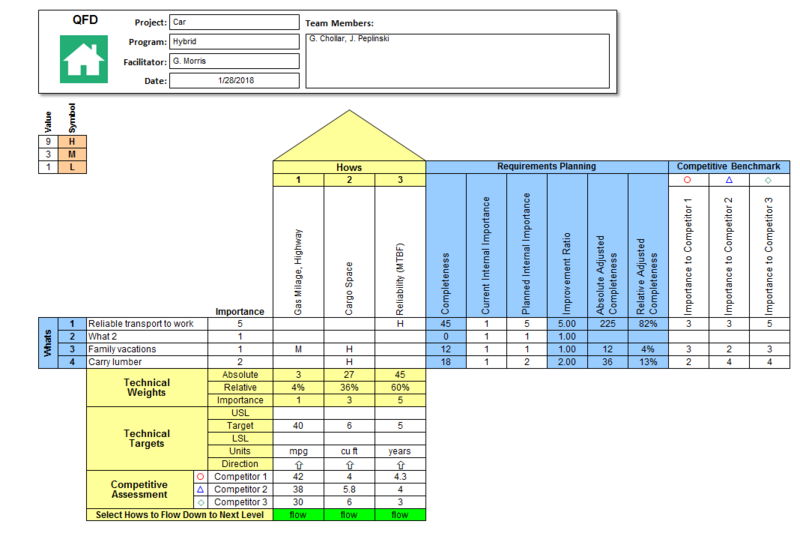 Directors and managers become "team members"
Select Hows to flow down using several filters. 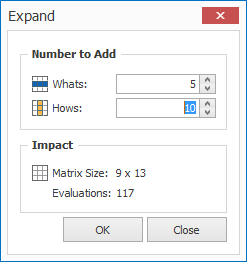 Export Hows to same or lower levels, or Pugh, TOPSIS, SDI design selection and FMEA worksheets. Check house of quality for six common errors. 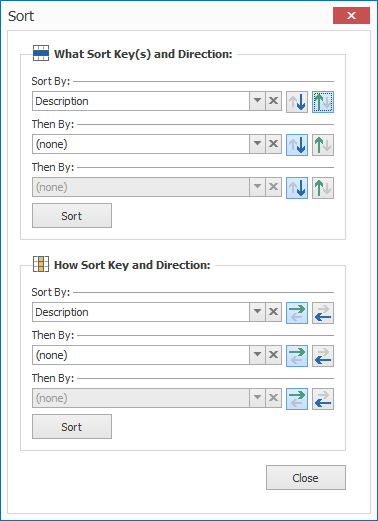 Control what and how information is displayed. 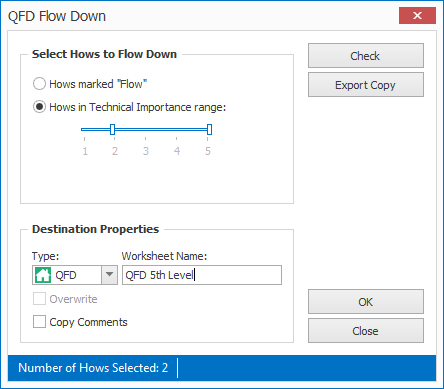 Define the number of Whats and Hows when creating the QFD worksheet. 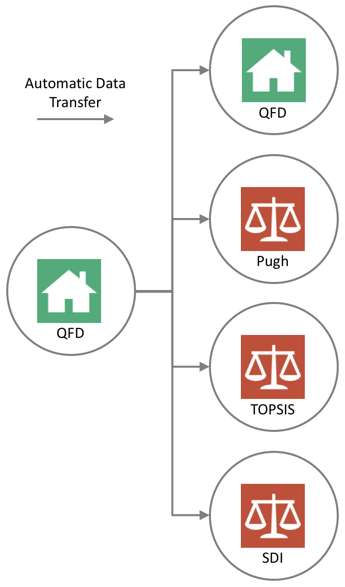 This video shows QFD using SDI Tools v3 in action. We will be updating this video to reflect changes to SDI Tools v4 soon.